Three students in Conestoga’s Visual Merchandising Arts program have won a competition that will see their work displayed as part of a sustainability wall in IKEA Canada’s newest store, set to open this summer in Québec City. IKEA opened the competition exclusively to students in the second year Design and Branding course who were required to present ideas for a graphic wall to encourage, inspire and educate the store’s visitors and employees about IKEA products that can help people live a more sustainable life at home. 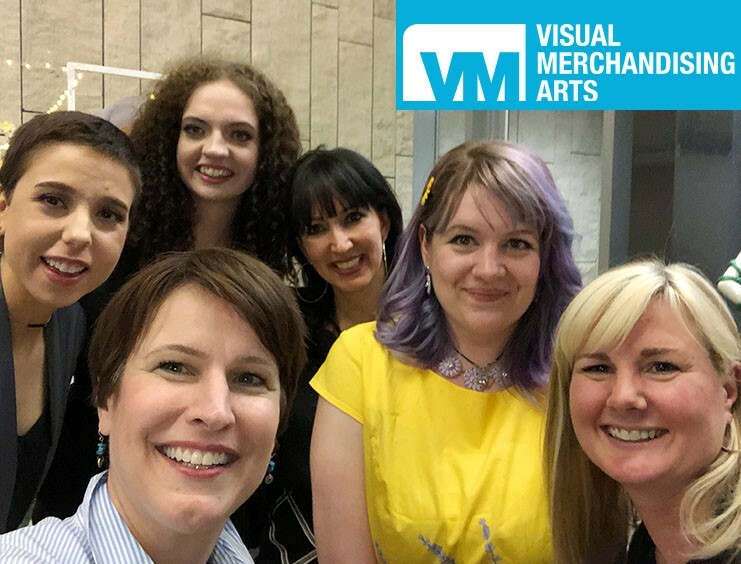 Emily Hergott, Jessica Heiner and Kaitlynd Wilson were named the winners on April 12 during Creative Roots - the Visual Merchandising year-end portfolio show held at the Waterloo Region Museum. Their designs will be combined into one and installed as a graphic wall in the new store. IKEA representatives Julia Orzel and Tamara Trachsel were in attendance to congratulate the students. 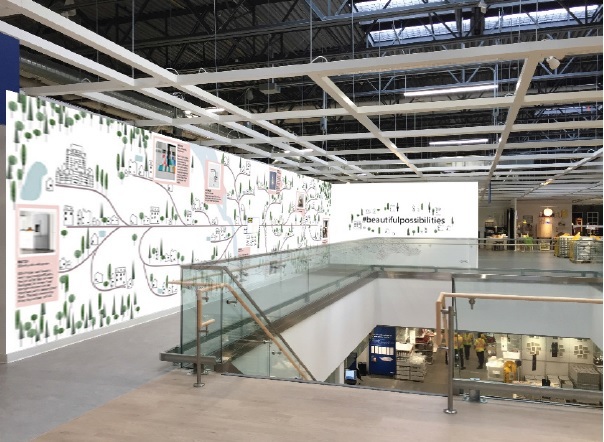 IKEA's graphic wall will inspire customers and employees to live a more sustainable life at home. Kaitlynd Wilson's design concept incorporated information about IKEA products that can help reduce energy and waste. IKEA’s new Québec City store will be LEED certified and operated in a sustainable manner with a focus on energy and waste avoidance. In-store solutions will be available to provide customers with ways to live a more sustainable life at home by reducing and sorting waste, and saving water and energy. Conestoga’s Visual Merchandising Arts program is a two-year project-based diploma program that provides students with the opportunity to develop design skills and knowledge in the areas of fashion and visual display. Conestoga offers Visual Merchandising Arts graduates the opportunity to earn a second two-year diploma in Interior Decorating in just one year. For more information, visit the Visual Merchandising Arts and Interior Decorating program pages.